The prognosis for gastric carcinoma continues to be particularly unfavorable. Surgery can result in a cure or longer disease-free survival only in a small number of patients, since most gastric carcinomas are diagnosed when the tumor is in an advanced stage. 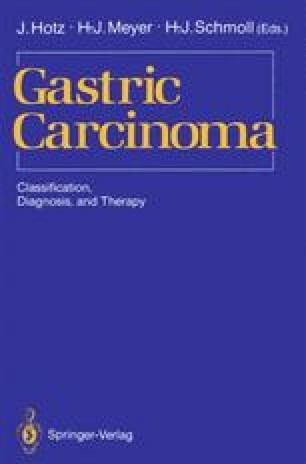 More than 85% of all patients with newly diagnosed gastric carcinoma die from a nonresectable local tumor and/or distant metastases. For this reason, chemotherapy is the treatment of choice in cases of advanced gastric carcinoma, either alone or in combination with surgery and/or radiation therapy.